Hi guys, my name is Dan and you can find more about me on the “About Me” page on this website (under Kevin’s profile). I’m going to be posting here when I have time and today is my first post which will be a review of a supplement called N Force. 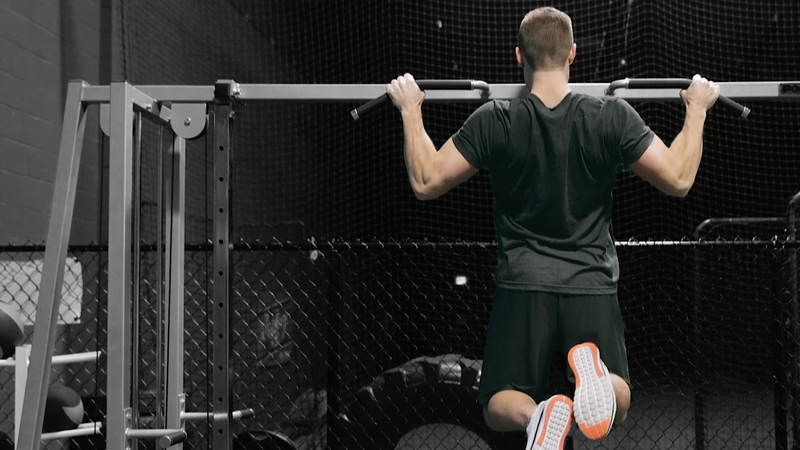 Metabolic Augmenting Nutrition (MAN) N Force will be broken down and reviewed for today. N Force is a nutrient maximizing product designed to increase insulin sensitivity prior to meal containing higher amounts of carbohydrates to more efficiently deliver glucose, amino acids and other nutrients to the muscle cell as opposed to the fat cells. I will try to be as helpful and informative as I can but if I have missed anything or if you have tried any nutritional partitioners in the past I would love to hear about it at the bottom of the page in the comments section. You can definitely tell a difference when you eat a meal with N force, and then trying the same meal the next week without N force. N force seems to definitely aid in the proper metabolization of the nutrients because whenever I used it prior to cheat meals I always felt like my stomach was a bottomless pit, compared to the norm when I have a cheat meal it feels like I swallowed a cinder block. My digestion process had zero issues with large meals and N Force also brought mild pumps after a meal, which when you are outside of the gym is pretty impressive. 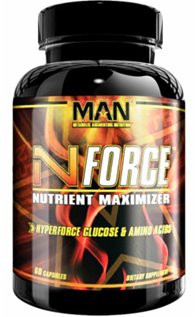 N Force is a nutritional maximizer designed to enhance insulin sensitivity. For those of you unfamiliar with controlling insulin, it is of the utmost importance when trying to build an elite physique. If you can control insulin, you can control the physique. The majority of North American’s daily eating habits have rendered their body to become extremely insulin resistant. When this happens it effects our bodies ability to produce the hormone insulin and ultimately effects our ability to both build muscle, and lose fat. Insulin resistance should first and foremost be dealt with through daily nutritional habits regarding your overall food intake, how your meals are structured, and which foods you are choosing to eat. Healthy fats (such as fish fats, good oils, and raw nuts), high fiber content foods (such as vegetables) and lean protein sources all help to lower the insulin response in a given meal, leading to less production of insulin produced in the meal and in the long run developing a greater sensitivity to insulin producing carbohydrates. The reason why we want to develop a sensitivity to insulin and not a resistance is so we can intelligently choose when we want our bodies producing it, as it is the most anabolic hormone in the body. Post-workout for example is a fantastic time to harness insulin because if we spike our insulin after training it will shuttle all of the nutrients we intake with it towards the muscle cell. For example consuming 45-100g carbohydrates post-workout alongside amino acids and protein will yield an overall more efficient delivery of the muscle building carbs, aminos and protein to the muscle cell. Where N Force comes in is it allows us to become even more insulin sensitive with proper use. Having one capsule 20 minutes prior to a meal containing 40-75g carbohydrates, or taking it a step further and having two capsules prior to a meal containing 80-100g carbohydrates will allow us to more efficiently store the intake of carbs as glycogen (stored energy in the form of carbohydrates) as opposed to fat. This is super important to anybody looking to change their physique, male or female as it allows us to do a few things. Gynema Sylvestre → supports the increase of insulin, increases the utilization of glucose. My experience with N Force was an extremely positive one! I would totally buy it again. Also look into buying just a pure form of Saigon Cinnamon at your local grocery store. It is super cheap and will provide a 29% decrease in insulin response in a meal from which you do not want to produce to much insulin from so you can save your sensitivity for the times that count. I personally add it to all my coffee’s, and oatmeal servings.